(12/8/15 at 3:20 p.m.) Tickets are SOLD OUT! 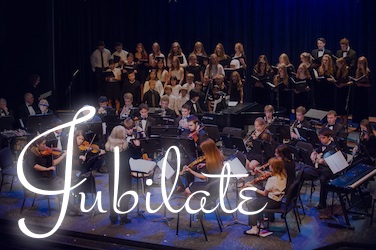 The Prairie Performing Arts Departments would like to invite the community to join us for Jubilate! Share in the Sounds of the Season on Sunday, December 13 at 3:00 p.m. in the John Mitchell Theatre. Students in music ensembles from Primary, Middle, and Upper School will be featured in this concert. A variety of instrumental and vocal holiday music will be featured, along with original poetry from students in Story Chasers, our Middle School Writing Club. Admission is free, but seats are reserved. Please join us by reserving your ticket today.